Ana's life is a collection of bits and pieces of her past. Infected with HIV at birth, she's unaware of many details of her early childhood and barely remembers her mother. Living with her strict grandmother, she learns how to keep secrets – secrets about her infection and about the abuse she endures at home. But after Ana falls in love and becomes pregnant at seventeen, she begins a journey of hope – a journey of protecting herself and others. She is living with HIV, not dying from it. 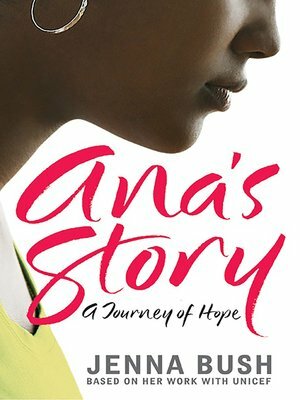 Jenna Bush tells of Ana's struggle to break free from the cycle of abuse, silence, and illness with passion and eloquence. But this is not just Ana's story. It is also the story of many children around the world who are marginalized, neglected, and mistreated.